After a series win against a playoff contender in the Brewers to start the second half, the Dodgers are now coming off dropping a series to the playoff contending Phillies. Tonight they started a series against another playoff contender in the Braves and were on the road yet again. While the bats definitely got off to a slow start, a quality rotation outing and a bunch of late runs led to an easy 8-2 win. Braves starter Anibal Sanchez faced just one above the minimum through four innings, but the bats broke through in the 5th thanks to old friend Charlie Culberson. 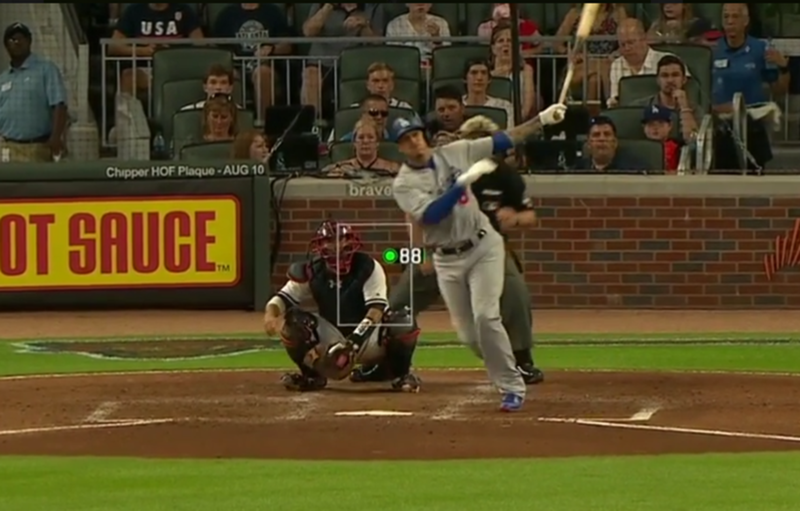 After Matt Kemp walked to start, Cody Bellinger reached on an infield single to short, and both runners advanced after Culberson threw the ball into the stands. Chris Taylor followed with a ground out up the middle to get the scoring started, and Alex Verdugo blooped one over the drawn-in infield for another. The next inning the Dodgers found the scoreboard again in a much easier fashion, with Manny Machado bashing his first dong as a member of the Dodgers. The 7th was the third consecutive inning the Dodgers plated runs, as Verdugo reached on the infield single with one out and advanced to second on a terrible decision to throw by Ozzie Albies, and Rich Hill (yes) drove him in with a single up the middle. 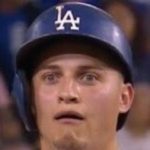 A Joc Pederson double followed to put runners on second and third with one down, but most importantly got us this Hill baserunning clinic. Machado was then intentionally walked, and with two down Yasmani Grandal came through with a single to left to drive in a pair and give the Dodgers breathing room at 6-0. But all that sorta buries the lede, which is that Hill was astoundingly good tonight, as he had command of both his fastball and curve. He twirled seven shutout frames on 95 pitches, striking out eight batters. He also allowed just three hits and walked only one batter. For a while it seemed like Hill could be the odd man out in the pen crunch, but he has a 2.20 ERA in his last 32.2 innings. Anyway, the Braves continued to struggle defensively in the 8th. Bellinger started the inning with a walk, and a rally was underway when CT3 singled. With one down, Chase Utley was hit by a pitch to load the bases, and Joc bounced a ball up the middle that was deflected by the pitcher. Instead of just trying to get one, the Braves went for the double play, got no outs, and threw the ball into the dugout to score two runs and make it 8-0. Daniel Hudson took over in the 8th and blew the shutout immediately by allowing a single and and homer to Ronald Acuna. He allowed another single in the inning, but didn’t get into any worse trouble … thankfully. Pedro Baez then got the 9th, trying to prevent needing to bring in another arm with a six-run lead. He got a strikeout and a pop-up to start before surrendering a double. But that was okay, because at least we got to see Verdugo throw. Baez then got a line out to center to end it, and the relievers today didn’t inspire confidence, but the win was easy enough. Rich Hill is amazingly weird. Bartolo Colon is now overrated as an obsession for Baseball Twitter. Rich Hill is the new hotness. Chase Utley felt pain, folks. Alex Verdugo … not with an eight-run lead, please. The Dodgers climb to 11 games over .500 at 57-46, and they also now lead the NL West by 1.5 games over the Diamondbacks after they blew a two-run lead in the 9th and got walked off by the Cubs. Tomorrow night the Braves and Dodgers will link up again in the second game of this four-game set at 1:35 PM HST/4:35 PM PST/7:35 PM EST, with Clayton Kershaw taking the bump against breakout starter Mike Foltynewicz.